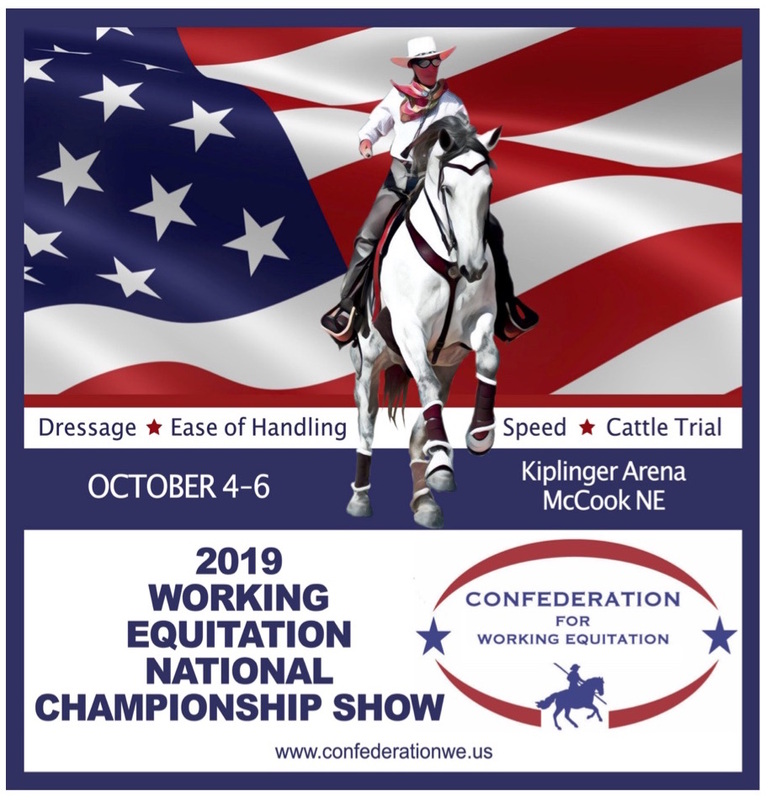 Confederation for Working Equitation National Show October 4th - 6th, 2019, in McCook, NE. help make this Second National Championship Show one to remember with your sponsorship! Click here to download our sponsorship package. Hotel rooms can be reserved now! To get the discounted rates, use the code "CWE" and let the hotel know that they need to book in the Confederation for Working Equitation block If you have issues, email chris@confederationwe.us. Rooms are held at the discounted rate until September 20th. Rooms are held at the discounted rate until September 3rd. There will also be plenty of RV hookups for those staying onsite. Our sponsors, such as Fleetwood riding academy and Working Equitation of Kansas are making things possible! Take a peek at the Champion and Reserve Champion Awards for 2019!